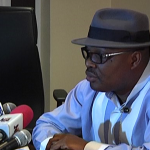 (AFRICAN EXAMINER) – The Bayelsa State Government Committee on Civil Service Reforms investigating the endemic payroll fraud in the state has uncovered 500 Administration officers at the Sagbama Local Government Area òf the State. The panel has also discovered a total of 5000 non academic staff at the Niger Delta University and the other state-owned five tertiary institutions in the state. The State Commissioner for Information and Orientation, Mr. Daniel Iworiso-Markson, said in a statement on Wednesday that the discovery of the shocking number of Administration officers in the council and the 5000 non academic staff was part of the ongoing efforts Hon. Dickson’s Administration to clean up the payroll mess in the state. 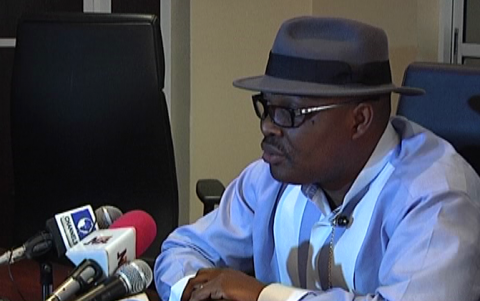 Iworiso-Markson hinted that the discovery of the 500 administrative officers in one of the local government areas only showed the large number of redundant workers drawing salaries for doing nothing in the state. The Commissioner said that the government would make public how the names found their way into the payroll. 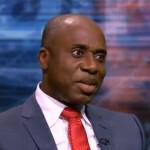 According to him, the government would not relent in its efforts to solve the problem of the bleeding of the resources of the state by a few unscrupulous elements in the state. 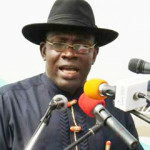 He added that the bloated wage bill in the eight local government areas of the state was responsible for recent negative and false media reports that Bayelsa State Government was owing salaries of workers. 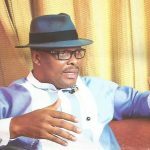 Iworiso-Markson explained that the fraud in the local government area and the over bloated wage bill had made it impossible for the councils to pay salaries of local governments even when their allocations are not tampered with as a matter of state policy in Bayelsa. He said, “Only recently, the State Committee on the Civil Service Reforms uncovered 500 administrative officer in Sagbama Local Government Area òf Bayelsa State. “When you have 500 administrative officers in a local government area, it means most of them are idle. It is not just imaginable; what would they be doing; what is their job? A number of these administrative officers work as clerical staff in primary schools. That’s why in most of our schools you have more non-academic staff and very few teachers. Take for instance, in a school you will find just two teachers and 50 non-academic staff. That’s why the council’s wage bills are high because of workers who have been put there to draw salaries without working. The commissioner also said that situation of the payroll fraud in the council was not different at the tertiary education sector as shown by the discovery of 5000 non academic staff in the sector. He said that it was not conceivable to engage and maintain 5000 non academic staff in six tertiary institutions in the state. He said that the figure only represented a classic case of people being put on the payroll without rendering the requisite services to justify their salaries.